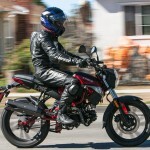 In case you haven’t heard, the 125cc class of streetbikes is hot. 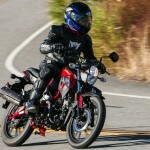 The Honda Grom kicked off the latest craze, which was followed this year by Kawasaki’s Z125 Pro, as well as a few entries from China. However, all but one of the entries have teenie 12-inch wheels, making the bikes feel a little less than full-grown. So, in steps Kymco with the 2017 K-Pipe 125 and a pair of 17-inch rims, and we’ve gotta wonder if the wheels will make a noticeable difference. 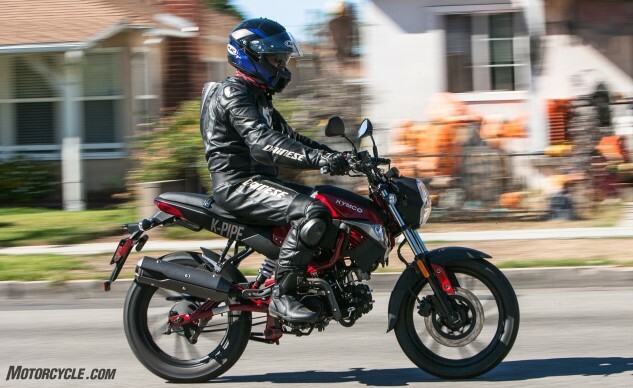 Since customers looking at motorcycles in this category are extremely price-focused, the Kymco offers one significant advantage when compared to the Grom: a $1,999 MSRP versus $3,199 (and $2,999 for the Kawi). 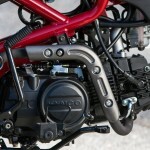 Though the K-Pipe is labeled a 125, its single cylinder displaces 123.7cc. The rest of the mill is pretty pedestrian: air-cooled, carbureted, and SOHC with two valves. The transmission does deserve special note, though. First, the shift pattern has neutral at the bottom instead of between first and second gears, as is the case with all other motorcycles in the U.S., resulting in a N-1-2-3-4 shift pattern. Additionally, the shift lever throw is quite long, which translates into riders having to move their left foot twice as far to change gears as on most motorcycles. 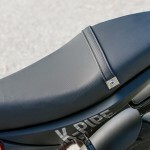 Additionally, the K-Pipe, being designed as a beginner bike from a company known for its scooters, does not require that the rider modulate the clutch to start from first gear. At idle, the rider simply engages first gear without the clutch. When the time comes to pull away from a stop, simply roll on the throttle. What you see is what you get: a basic, no-nonsense 125cc bike aimed at price-conscious riders for around-town use. The tubular steel frame/swingarm and 31mm fork connect to a pair of 17-inch wheels. Suspension is non-adjustable, save for rear preload. Suspension travel is more than adequate in this class at 3.5-in. and 4-in. front and rear. 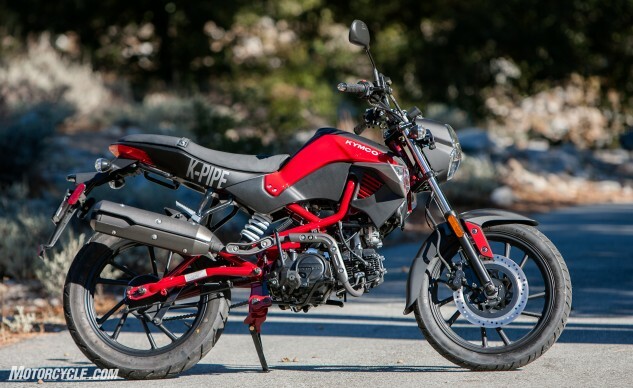 The 31-inch seat height gives the K-Pipe a surprisingly roomy riding position, and its 247-lbs keeps it from being intimidating to new riders when standing at a stop. 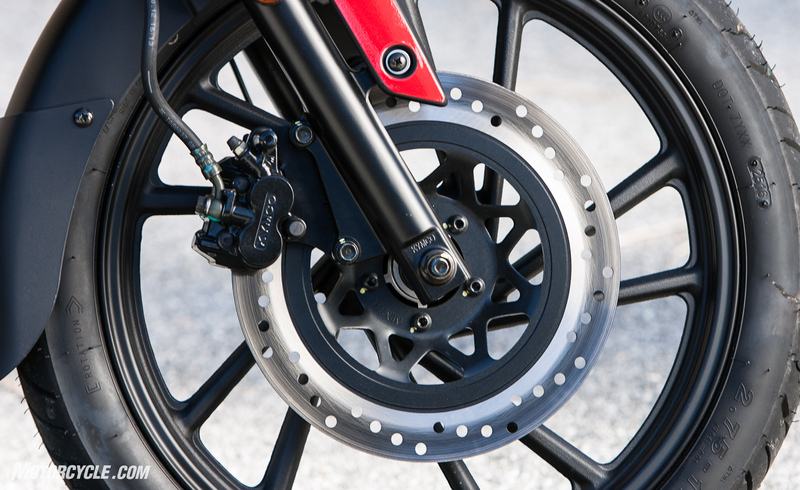 Braking comes from a 276mm disc and two-piston caliper up front and a drum in the rear. 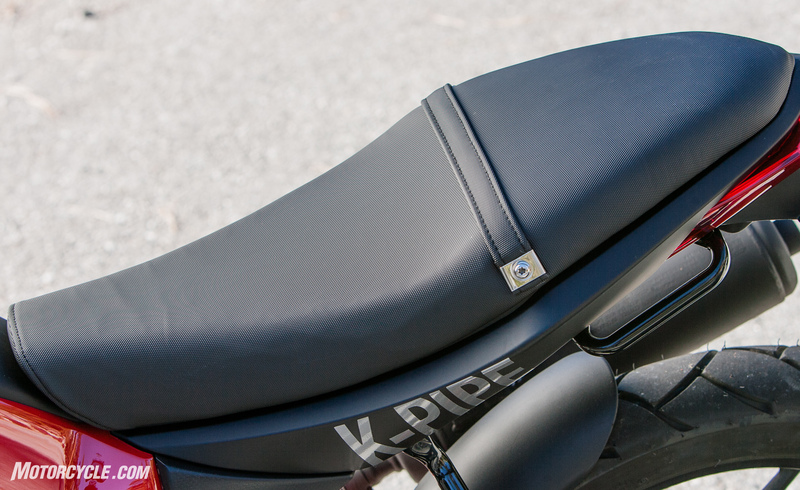 The K-Pipe is cold-blooded even in warm weather, taking a while to warm up and stop struggling to idle. In fact, the first stop sign encountered when leaving home usually resulted in the engine stalling. With just 7.0 hp on tap (as tested on the MotoGP Werks dyno), the K-Pipe’s acceleration is best described as anemic, though the throttle response is well sorted. We suspect that a good carburetor tuner could remedy the cold-bloodedness and eek out a little more power, too. The long shifter throw is easily adapted to, though the lack of feedback regarding gear changes is mystifying – particularly during downshifts. For those who think this is a mountain/molehill issue, Tom wrote of this experience in his notes: “I was downshifting from fourth to third, but with no indication I had actually moved the transmission, I downshifted again, this time into second, which caused the rear wheel to lock and almost sent me skidding down the road.” The gauge display does include a gear-position indicator if you find yourself in the same position as Tom, not knowing which gear you’re in. A weak, spongy front brake was an issue with this K-Pipe, but our previous experience makes us think the problem was specific to this test unit. 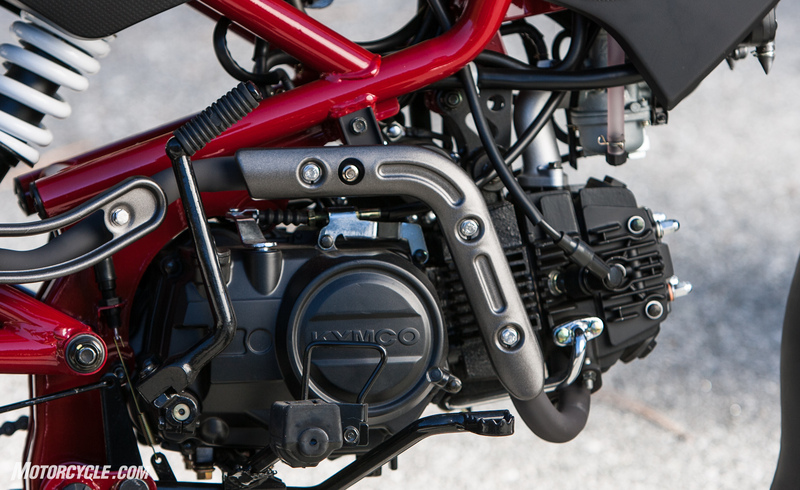 The next biggest issue with the K-Pipe – other than its 12.5% power deficit compared to the Grom – is its front brake. When picking up the K-Pipe, Big Guns Editor, Tom Roderick, noted how the lever would pull all the way back to the grip with minimal effort. After ministering to the Kymco’s hydraulics for 45 minutes, the lever’s feel was upgraded to spongy. While we can’t completely rule out an extremely recalcitrant bubble somewhere in the system, this wasn’t Tom’s first barbecue, leaving us inclined to believe we may have gotten a flawed test unit. Troy’s 24-hour race experience supports this theory since the brakes were quite stout – although aftermarket pads and a braided steel line were used. Another quality-control issue that cropped up on our K-Pipe test unit was a glitchy instrument cluster. On occasion, the lower half of the LCD display would only display intermittently. At other times, it would work just fine. New riders may appreciate the gear display offered, but in reality, the K-Pipe’s lack of power means that it will really only work in one gear with no overlap into others. Although it has electric start, the K-Pipe also features a kickstarter for those times you want to remember the Bad Old Days. Pause for a moment to consider the term flickability and this class of motorcycle. In our descent from MO’s Secret Mountain Road Testing Facility, the K-Pipe topped out at an indicated 76 mph! Here the advantage of 17-inch wheels shines through with the bike feeling more stable than bikes fit with 12-inchers. 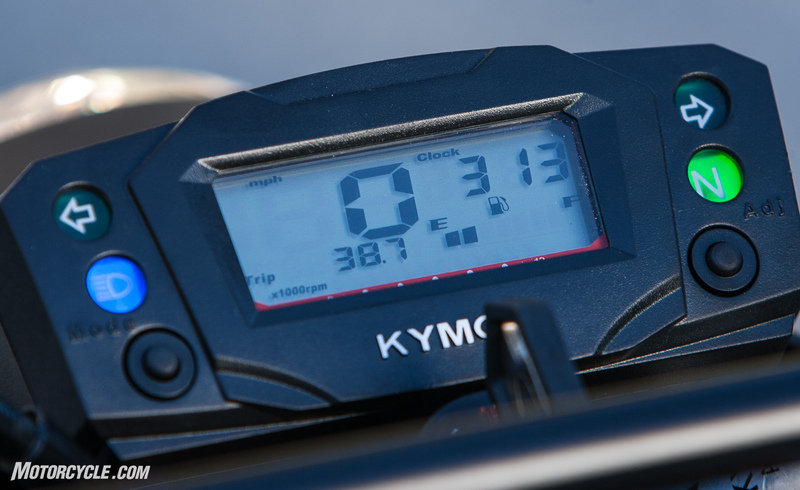 The Kymco K-Pipe is in its happy place jaunting around town with a newer rider in the saddle. Leathers optional. 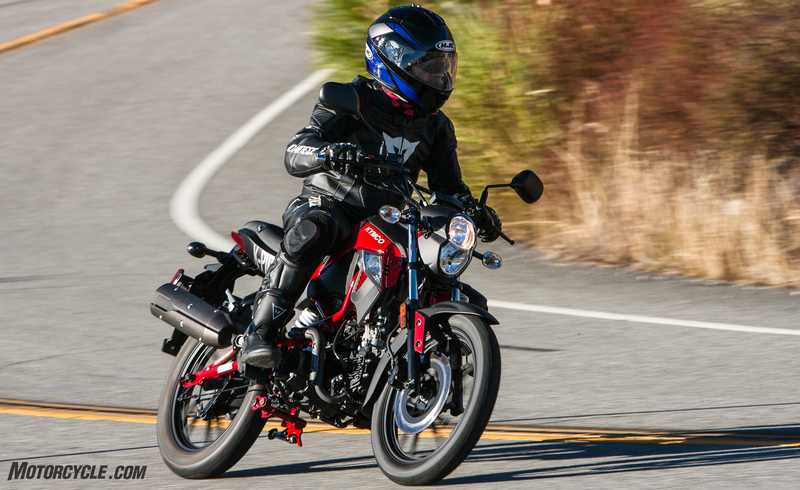 After spending some time with the 2017 Kymco K-Pipe 125, its primary appeals are its low $1,999 price and newbie-friendly clutchless start from first gear. Given its modest MSRP, we were a little disappointed by the quality-control issues we encountered. 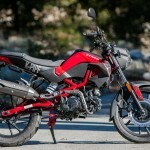 Still, if you’re looking for a low-priced, scooter-like 125cc motorcycle to tool around town on, the K-Pipe might be what you’re looking for in this category. 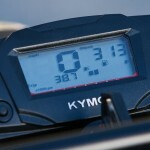 Get price quotes for Kymco from local motorcycle dealers.